Free parking is available in adjacent Old Market carpark, next to the Co-op, then follow stairs/ramp access onto Market Street. 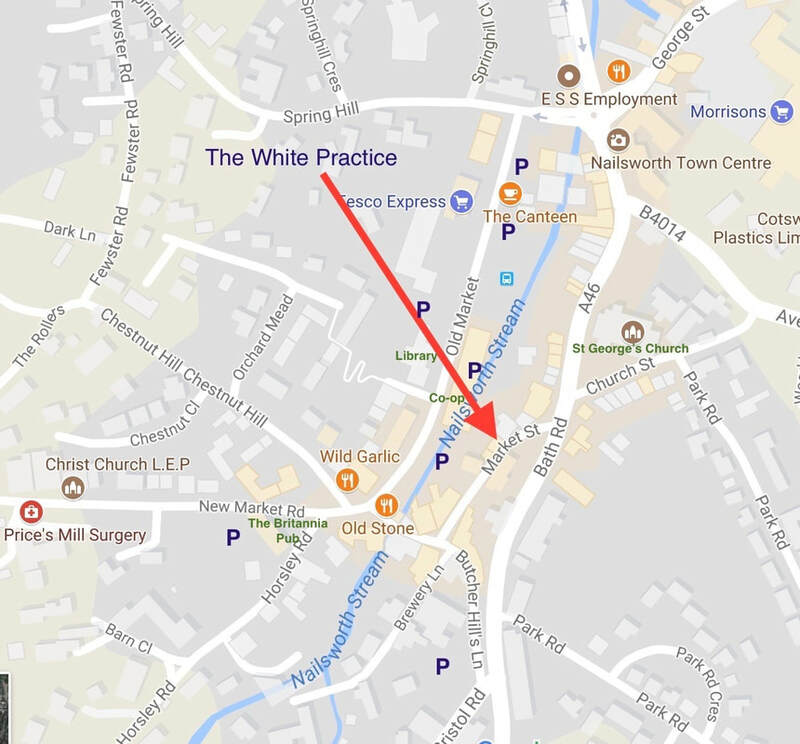 There are also many more car parks in Nailsworth not far from The White Practice, please phone us if you need help with directions. PARKING - See map below for the parking areas near The White Practice in Nailsworth marked with a 'P'. Some are long stay and some have time limits so you will need to check when parking.